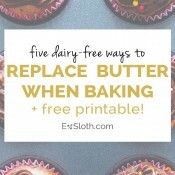 I’ve been dairy free for over a year now, and in that time I’ve become pretty familiar with dairy free baking. It isn’t always easy, but I like to think that I have the basics down. But now that it’s almost second nature to me, I’ve been looking for my next baking challenge. And since I’ve been going meatless more often recently, I decided to give vegan baking a try. There are a few different things that you need to consider when attempting to bake something vegan. 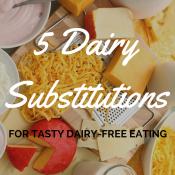 The easiest things to replace, in my opinion, are dairy and butter which I talk about in my dairy free eating guide. Replacing eggs, on the other hand, is a whole other story. Eggs in baked goods are used for one or more of three things: leavening, binding and adding moisture. So if you’re trying to replace eggs in a recipe, it’s good to know what they’re being used for before you decide how to replace them. You can get a lot more in depth into the science behind it, but I won’t. 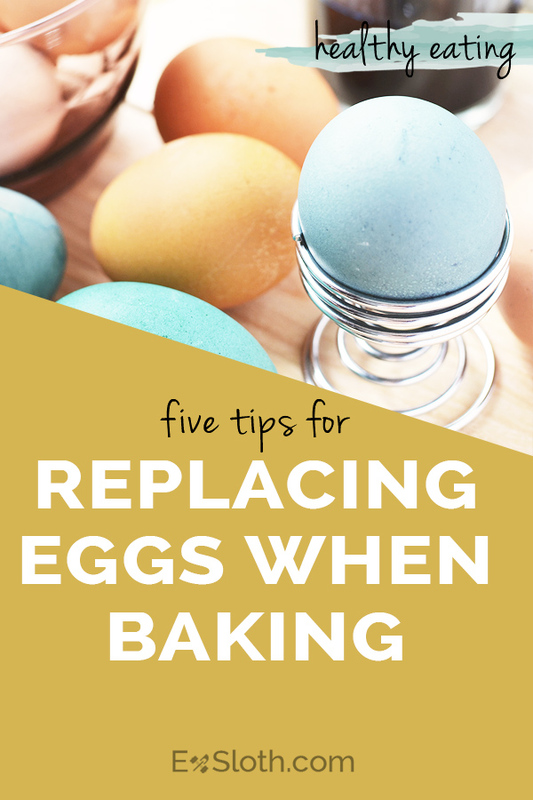 Today, I just wanted to share a couple of my favourite ways for replacing eggs when baking. Flax eggs are the egg replacers I use most often in my baked goods. Even before I decided to give vegan baking a try, I liked to add ground flax to my muffins and breads for a little nutrient boost. So flax eggs seemed like a natural progression. Flax eggs are best when replacing eggs used for leavening, which is almost always in baked goods. 1 egg = 1 tbsp ground flax + 3 tbsp water set aside for 5 minutes to thicken. You should also add about 1/4 tsp of baking powder to help with the leavening. I’m not a huge fan of chia seeds. 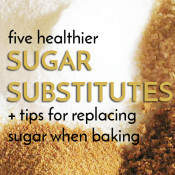 I use them occasionally, especially in smoothies and parfaits, but I don’t tend to reach for them often. So I’ve only ever used chia eggs a handful of times. But like with flax eggs they’re great egg replacements in recipes that use eggs for leavening purposes. 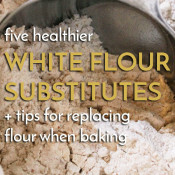 And they’re also great for adding more moisture to baked goods. 1 egg = 1 tbsp ground chia + 3 tbsp water set aside for 5 minutes to thicken. 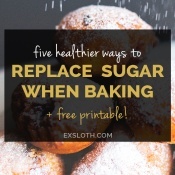 Like with the flax eggs, add about 1/4 tsp of baking powder to help with leavening. Bananas and I are old friends. I love them whether I’m just having one plain or in my morning smoothie. So when I found out they could be used as an egg replacement in baking I was hella excited. Unlike flax and chia eggs, bananas aren’t so good in the leavening department, but they’re great for binding. If your recipe needs to rise, you should probably go with another egg replacement method. But if you just something to hold the mixture together and bananas won’t mess with the taste of the final product, I definitely recommend giving this one a whirl. I’ve been adding fruit purees to my baked goods for a while, just not as egg replacements. I love the extra moisture I get from them in things like muffins and quick breads. However, since most of my baked goods require lift, I don’t substitute eggs only with fruit purees. But I would highly recommend them in addition to your other egg replacements. Like with fruit purees, vegetable purees add quite a bit of moisture to baked goods and are great in muffins and quick breads. They also require the use of some other egg replacement for leavening, if required. The only difference is that some vegetable purees, like beets, will flavour your final product. So it’s best to use them with other ingredients that can mask the taste, like chocolate or heavy spices. Have you ever experimented with vegan baking? What’s your favourite egg replacement? « Vegan Gingerbread Brownies + Happy Birthday to me! A friend and I were JUST talking about this over the weekend. I had no idea about the bananas—Ive always used the chia or the flax! Yes to ALL of these! Love them. I’ve done my fair share of vegan baking, and I love that it makes me get a little more creative and think outside the box. The only egg replacer I haven’t tried is actual store-bought egg replacer powders. I keep meaning to give them a shot, but the packages are so huge that I’m like… how am I going to get through all that?!?! Amanda @ .running with spoons.com recently posted…. flourless double chocolate orange cranberry muffins . I have done quite a bit of experimenting with vegan baking, without even realizing it! Since who eggs were a fear food for me for quite some time when it came to baking I needed to discover substitutes. The two that I have done the most experimenting with is bananas and applesauce. I have not tried the other versions and replacing eggs and might have to give them a shot! Thanks for sharing! I love this!! Though I’m not vegan, I DO enjoy creating vegan desserts–this may just be my new reference tool! 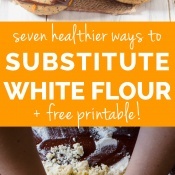 i love eggs, but sometimes replace them if i don’t have any on hand- great post! Linz @ Itz Linz recently posted…Hello, short week! Hmm. I’ve never heard if the first too but I’m also not too keen on egg substitutes. I’ve used applesauce to replace oils in different recipes but I stay clear of bananas due to an allergy. 🙁 I would love to learn more about the chemistry of food – one day I’ll make time for that! !